"Cover Your Assets", the official J.T. Eaton blog Educational Information and Presentations Professional distributors International distributors Rebates! Love your traps. I had four mice in my garage. The first day a caught two and then one each the next two days. They can't resist a little peanut butter. These traps are great and I was surprised to find this in my barn. Thought you would enjoy this. Dave S.
When they think they can sneak through....not a chance with JAWZ!!!! My first time trying Jawz traps, and I've got to say I was skeptical at first. 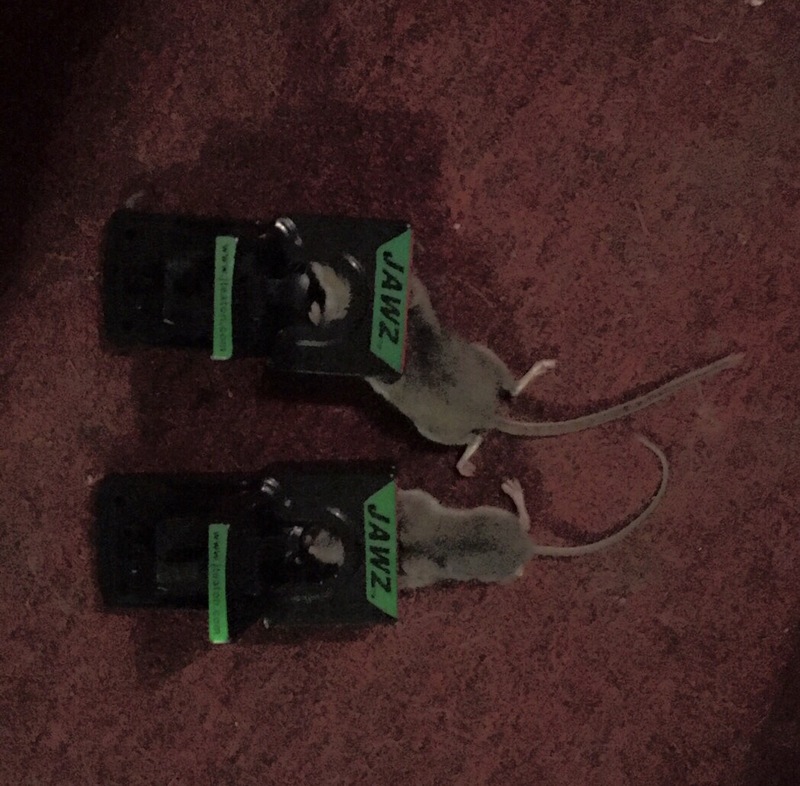 But within 15 minutes of setting the traps, I caught 2 mice! Great product at an affordable price!!!! Thank you Jawz! 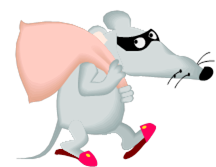 I prefer to use live-traps & release, but they just don\'t keep up with our autumn mouse invasions. 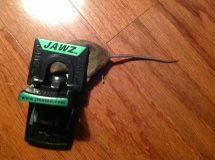 I bought 2 JAWS mouse traps yesterday at Menards,the idea of having anxiety-free trap setting that spares your fingers was quite intriguing! So quick & easy to set. Worked well & no messy cleanup. 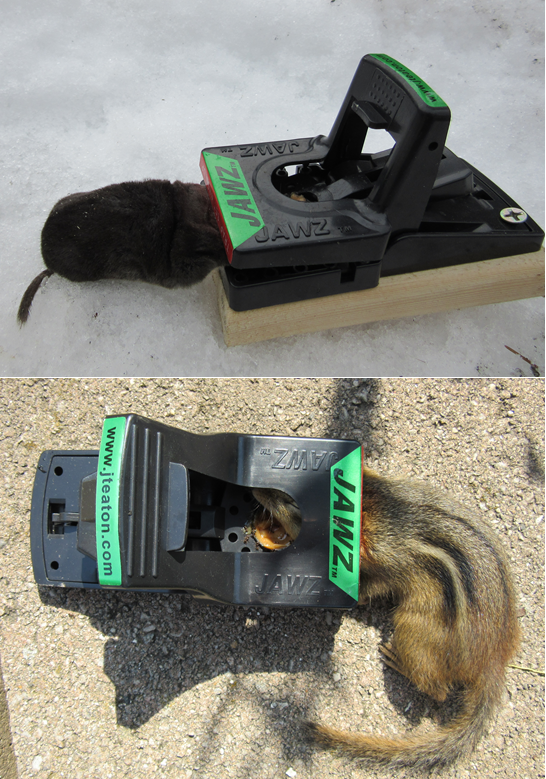 Most awesome mousetrap ever! Thank you for marketing them! 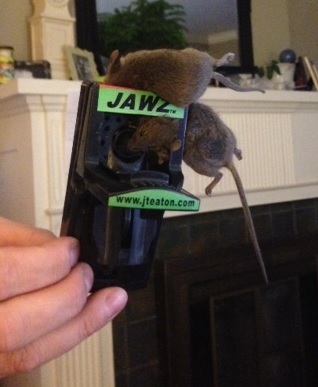 Your JAWZ mouse traps are awesome. 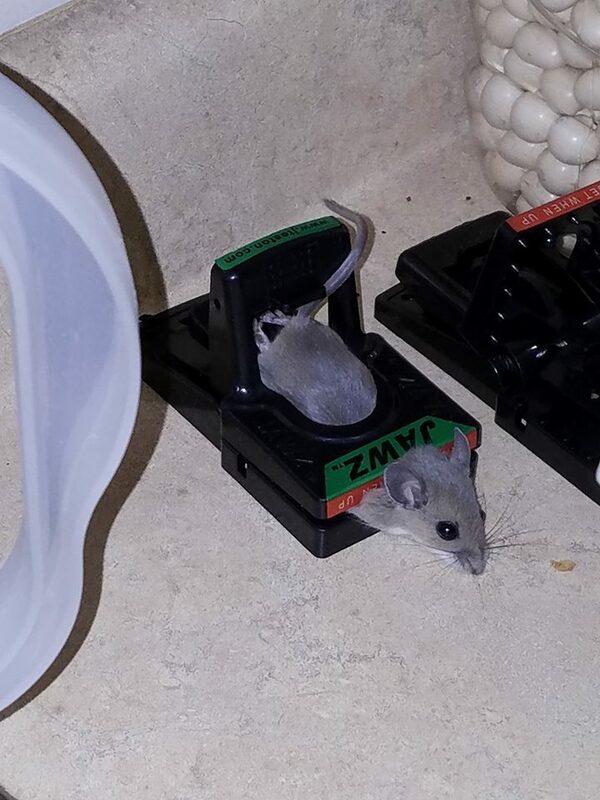 Finally, someone actually built a better mouse trap! Awesome mouse traps! Thank you for engineering a great product at a reasonable price. Thought we would share this with your company. Yesterday we noticed something in our mouse trap and it wasn't a mouse. 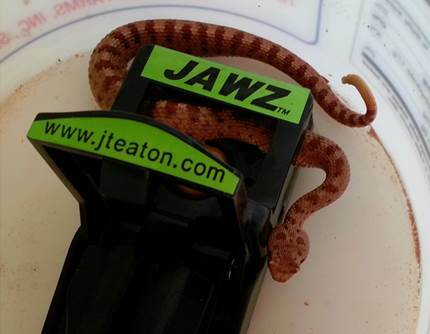 A pine snake had made it's way into our garage and found itself caught in the JAWZ! 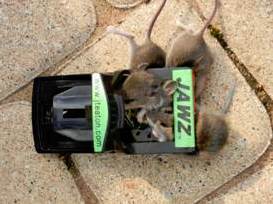 These mouse traps really are better! These traps were only a short distance apart. As you can see, I bait them with sunflower seeds. 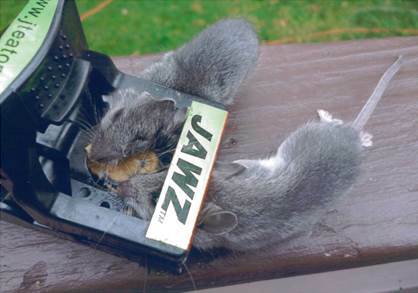 Last night we caught that pesky mouse in your Jawz mouse trap. 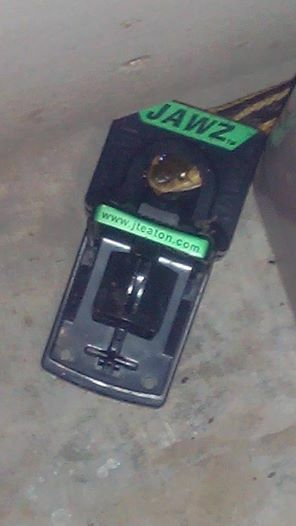 I will be purchasing more Jawz as it eliminates the harrowing experience of trying to set the old regular traps without catching your fingers! Once again, thanks! 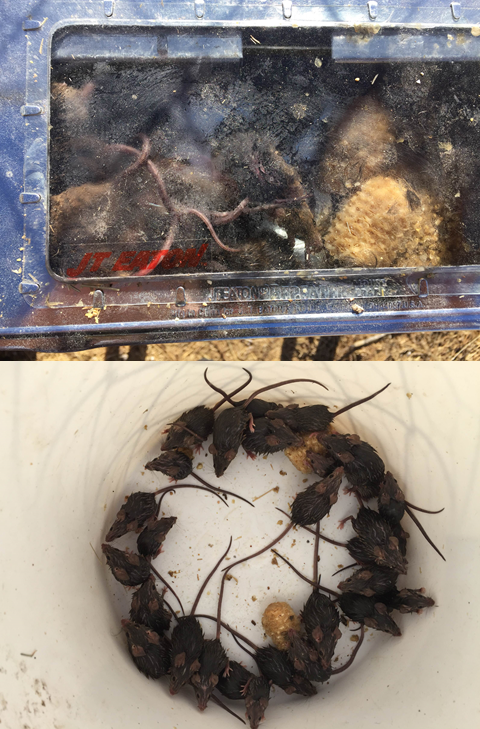 We caught 16 mice in one trap on the first night! Awesome product! Thank you! I just used your mouse glue trap this morning here in rural Colorado and it worked like a charm. The thing is I freed the little mouse in the woods a good ways from our house by just using (like you recommended) a little vegetable oil on the glue pad. 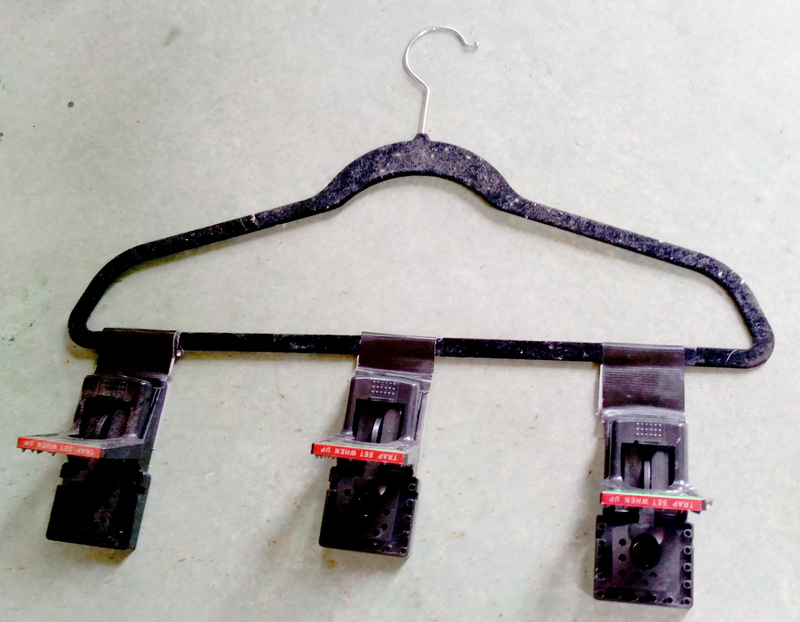 I think you ought to market your glue trap as "humane" by telling folks that they have the option of freeing the little critters if they want to. 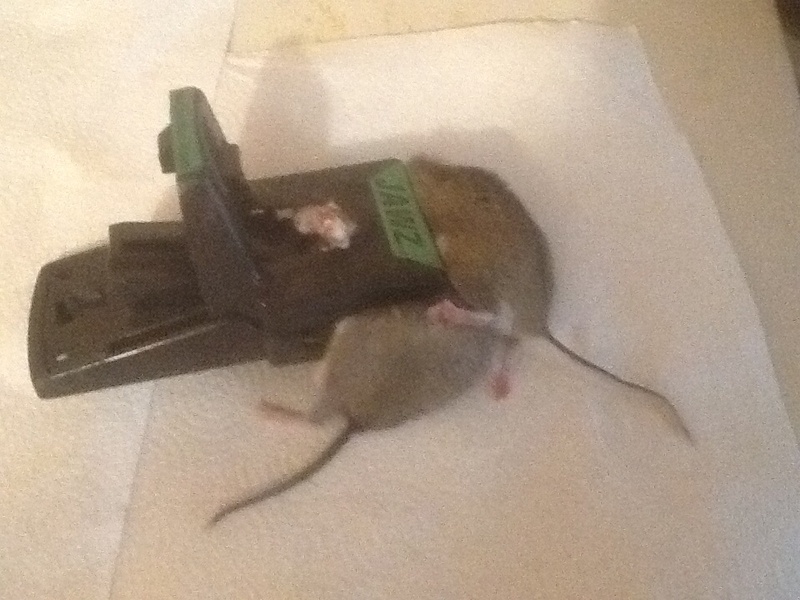 All I can say is, it is the best mouse trap I've ever used in my life time! Those old wood mouse traps with the wire spring are hard to set. 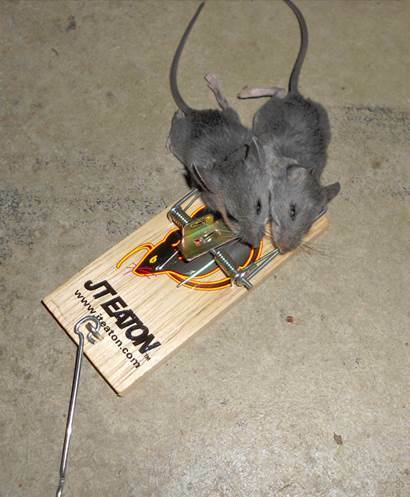 Your mouse trap is so easy, my wife even likes using them. Add few drops of the luring mouse scent and squeeze to set them, and you're done. 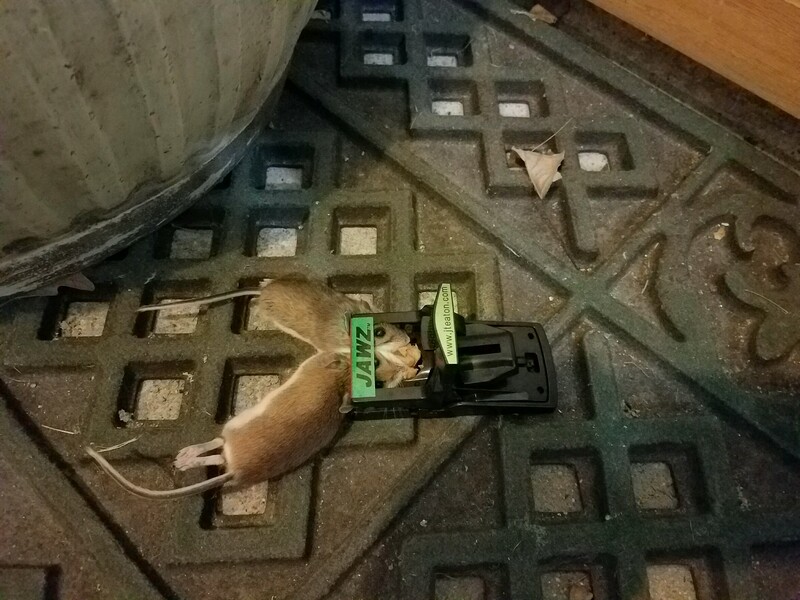 Thanks again for a wonderful mouse traps! 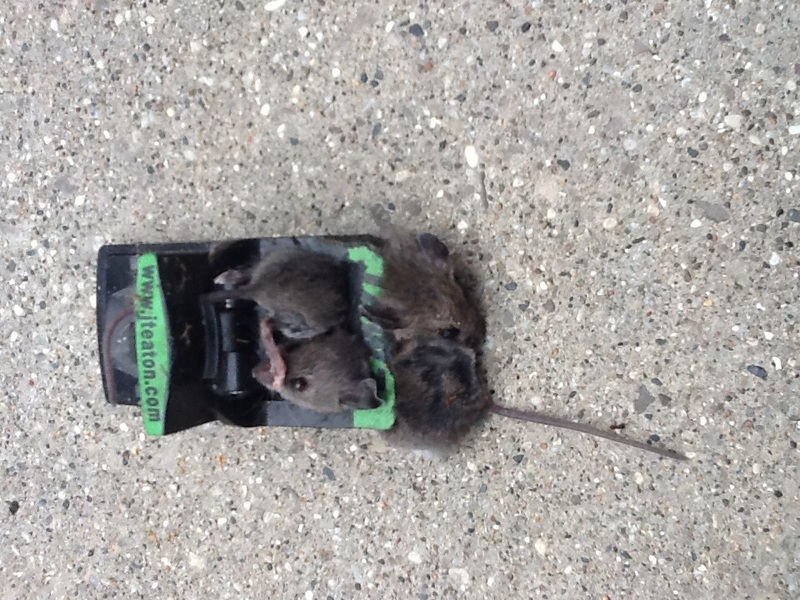 Please see the attached pictures of one mouse caught by two of your traps at one time. "Two for One" - Thought you'd like to see how good your traps are! 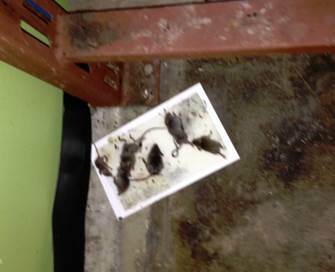 I went out to my trailer yesterday to put something away and I saw a mouse caught by TWO of your Jawz traps. As I can figure it got its tail and backside snapped in one trap and drug it around until it decided to try another snack in another trap. Snap! 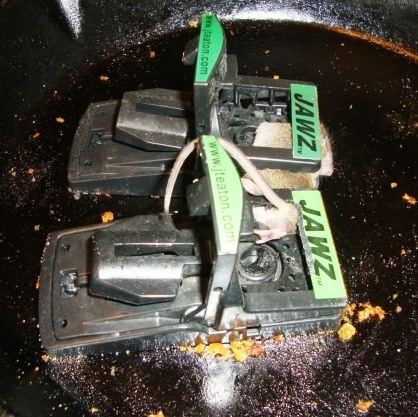 I have been using your mouse trap JAWZ for the past few months. Just a great product. Easy to set, always does it job and reusable. Thanks so much. 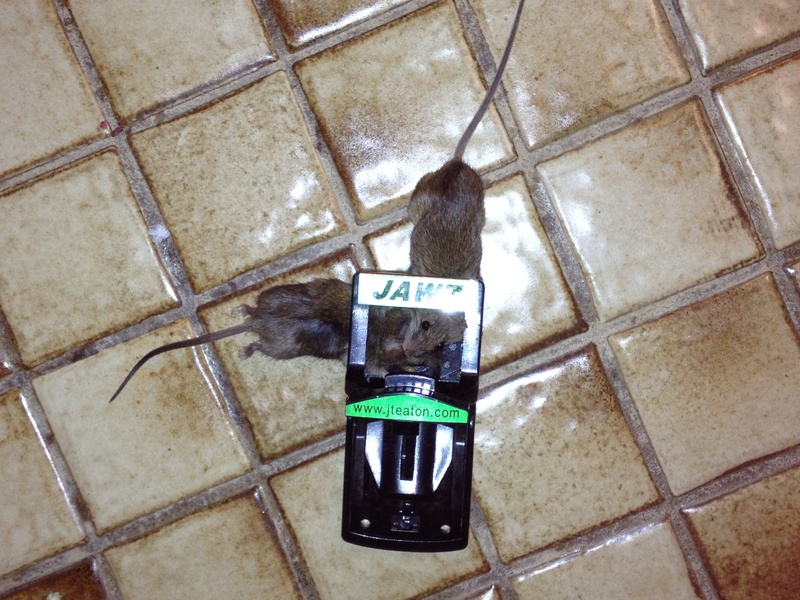 I have used many different mouse traps over the years but have never caught three mice at once in the same trap. 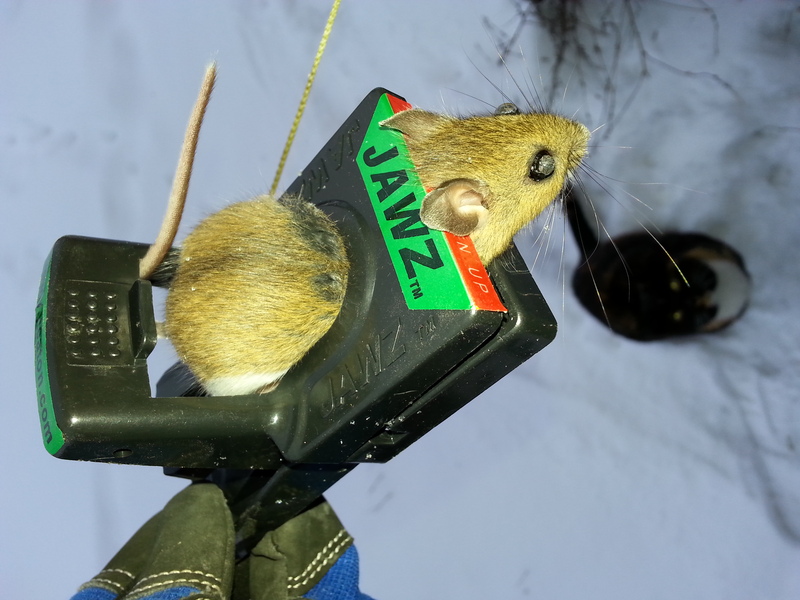 When I checked my traps in the morning I thought I caught a large mouse until I looked closer and realized there were THREE mice in the Jawz! 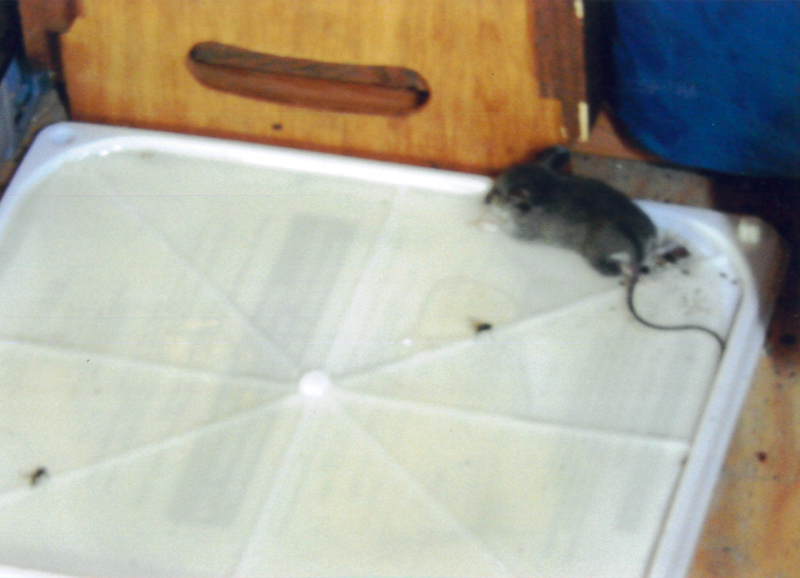 I wanted to share my story and picture with you and let you know that I recommend your mouse trap to everyone I know. 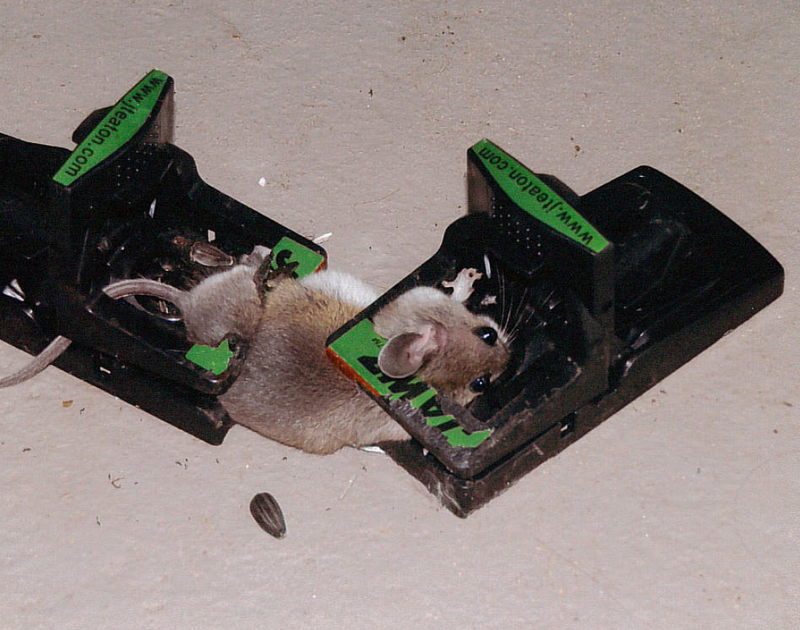 I bought some of your mouse traps a few years ago but misplaced them. I had never tried JT Eaton brand before. 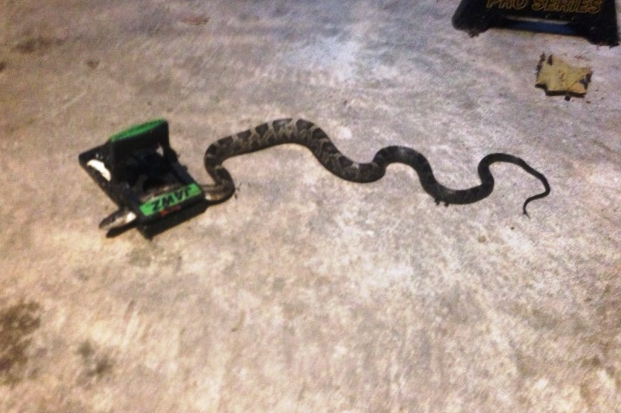 A new use for the mouse trap...A Sidewinder snake was caught in this trap behind our television today! This was taken in a back room of a business that had tried a wide variety of poisons and other traps with limited success. 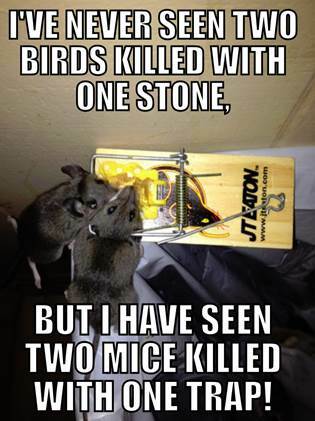 I've never seen two birds killed with one stone, but I have seen two mice killed with one trap!